On Sunday night at around 11.50pm, a man reported his 81-year-old father missing. He had gone for a walk with his Yorkshire terrier called Peluche, at 5 pm and had not returned. Since his father could only walk badly, he never stayed away that long. The Local Police from Las Palmas began to search for the missing man within a radius of 300 metres. About 40 minutes later, on a path in Barranco El Fondillo, they heard a dog whimpering. In fact, it was the man's dog. 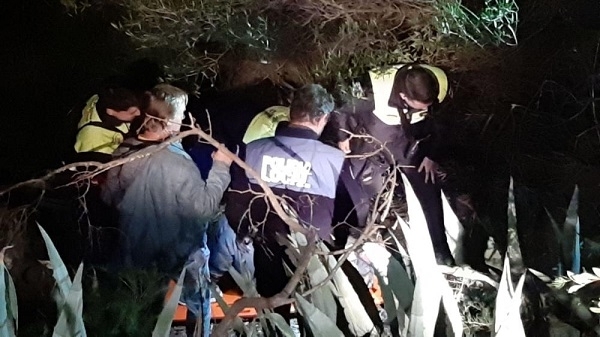 The man had fallen into a hole in a barranco and had been there for seven hours. He wasn't badly hurt, but he couldn't get out. He was stabilised and rescued by firefighters who had made their way to the victim. Thanks to his son and the faithful dog, who did not leave his side but tried to attract attention by whining, the man was rescued in time, sparing him from a cold night. After treatment in the medical centre, the 81-year-old was able to return home to his worried family. Produced with news.CMS in 0,0671 seconds.